As your little one grows and enters toddlerhood, your needs from a sling will change. Woven carriers are a great option for toddlers; your child might be starting to ‘toddle’ or be walking, however the benefits of carrying continue to be important to their ongoing attachment and development. You might think you will need a carrier less often as your child becomes more independent, but having a baby sling or carrier handy when little legs get tired or when nap time comes around will enable you to continue to get out and about together without the need for lugging around a buggy or running the risk of toddler tantrums! For us, this is the the age at which carrying enters a whole new realm – of adventuring together, averting upsets, and being a regular ‘lifesaver’. Our guide will help you choose the best carrier for your toddler. Each of our ergonomic carriers are suitable for use through toddlerhood and beyond. Our woven carriers are loved by parents of toddlers around the world, read on to find a style which is perfect for your growing toddler. 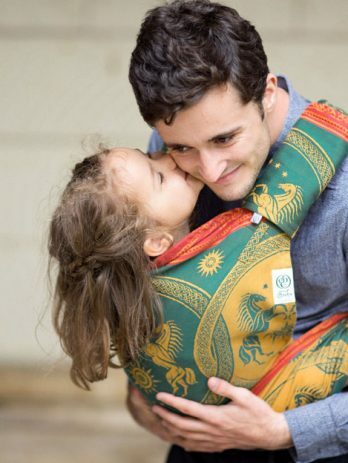 Woven baby wraps are long pieces of woven fabric which come in seven different sizes, they offer a lot of flexibility for parents with minute adjustments possible making for the most comfortable carries, even with heavy toddlers. 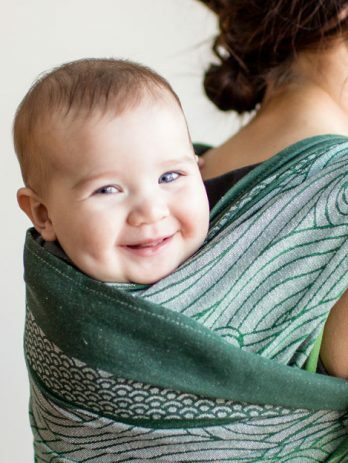 Baby wraps are the most versatile of our carriers, being infinitely adjustable and with a wide variety of carries possible. 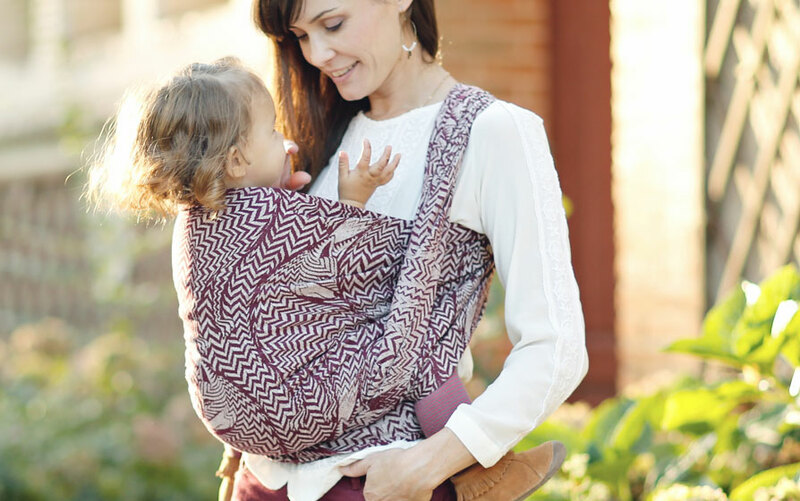 This variety makes wraps a great choice for toddler carrying as there is always going to be a blend and carry combination which you find comfortable. 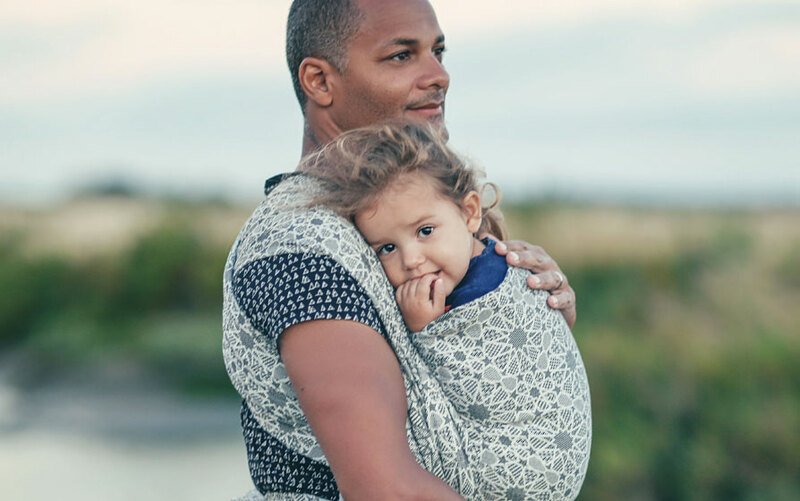 While finding this comfortable carry might take a little practice, woven wraps usually offer the most flexibility and comfort of our carriers. Many parents will continue to use their base size and above through to toddlerhood. 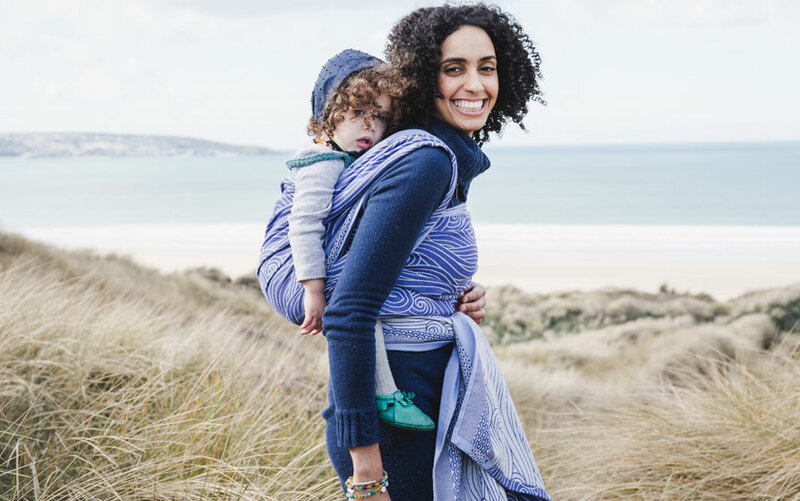 The extra length in these slings means they are able to be tied in a number of different ways, meaning you will certainly be able to find a supportive carry for you and your little one. 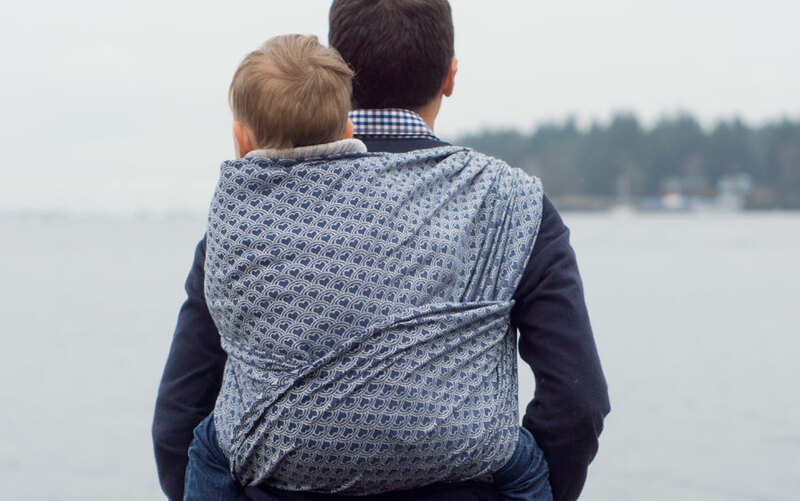 Carries with multiple layers, such as the Double Hammock back carry, offer extra levels of support for bigger kids who like to be up for long periods of time. While a carry such as a Simple Ruck with a Tibetan Finish give balance and comfort by spreading the weight across the chest pass. Parents of adventurous toddlers may find they prefer a shorter wrap which is more convenient for quick carries, when little ones want to be up and down often. Shorter wraps can be packed up small for storage when not in use, or can be worn as a scarf on chilly days! 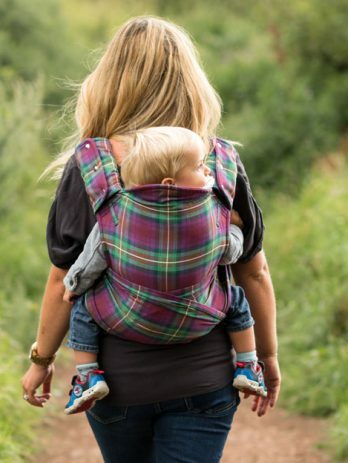 Carries such as the Poppins Hip carry or a Ruck tied under bum are perfect for independent toddlers who like to have the option of resting tired legs but are quick to change their minds! 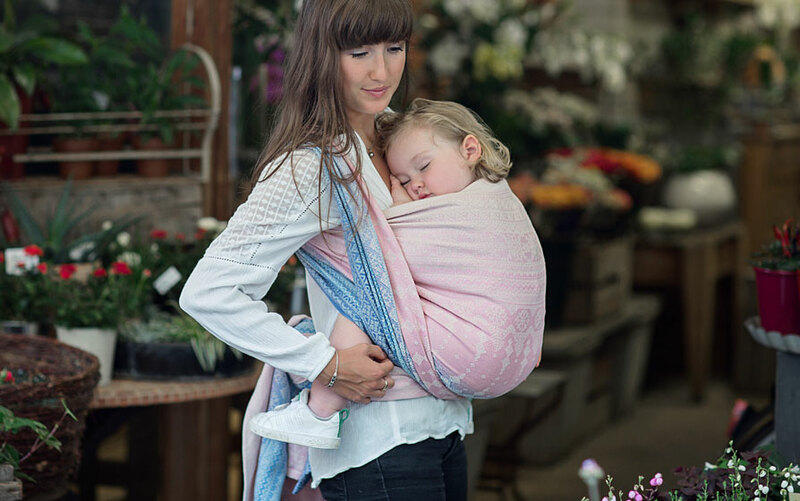 Rings slings are also perfect for restless toddlers – secured at the shoulder with rings, these carriers only have to be set up once, making them a great options for toddlers who like to be up and down often. Simply releasing a little tension from the sling, using the rings, will allow your child to pop down to explore to their heart’s content, with the sling ready and set up to be easily tightened when they need a cuddle. Ring Slings are lightweight and perfect to have in your bag for quick up and downs. 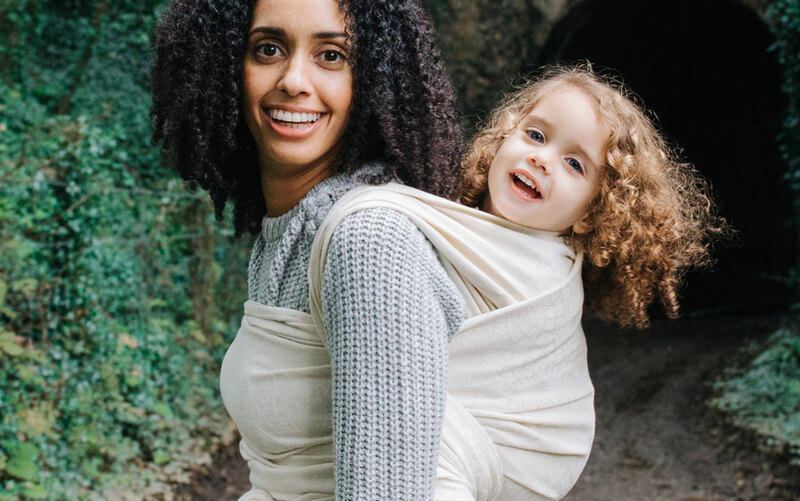 We generally recommend them for shorter carries with bigger kids; being one shouldered and with one pass supporting your child, they do not distribute weight as well as a wrap or soft structured carrier. The Cairis is a great option for toddlers, while not quite as adjustable as a wrap, this is a great compromise between the structure & ease of a buckle carrier and the mouldability of a wrap. The Toddler Cairis has been designed to fit perfectly around you both, with our Strata-linea waistband offering mouldable comfort and avoiding digging on your waist even when carrying heavy toddlers. 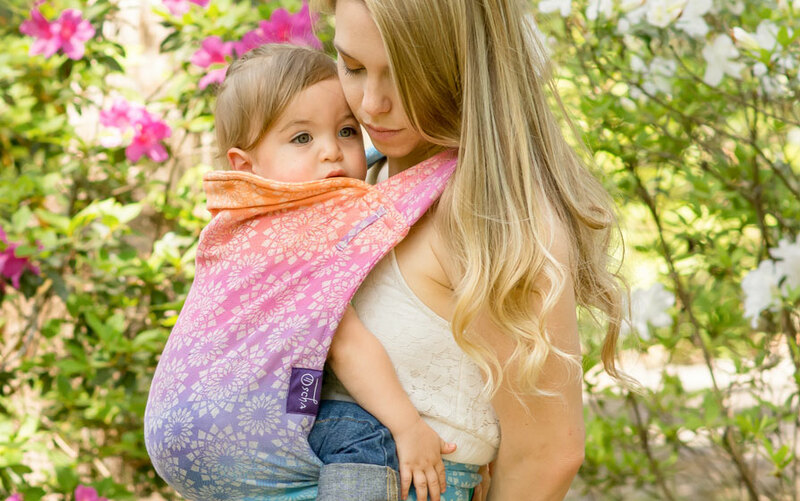 Padded shoulder straps offer a little extra protection for your shoulders, while the addition of wrap-straps, long straps which flare out to half wrap-width, provide additional comfort when spread over little one’s bum for added support. Great for carrying for longer periods, the Cairis is lightweight and comfy for parents and toddlers. The Cairis can fold compactly and stored in a bag when out and about, meaning it is always on hand for toddlers who really want to walk … for 15 minutes before getting tired! Fabric blend is important when carrying toddlers, but maybe not as important as you might think. Almost any blend can be used comfortably with a toddler if the right carry is used alongside it – that being said, it is likely you will find some blends comfier than others, and this is usually based on personal experience and preference. When looking for a wrap for a toddler you should look out for words such as ‘cushy’, ‘supportive’, and ‘strong’ in our descriptions. Many descriptions will also tell you if the blend is toddlerworthy! Hybrid weaves, weft facing weaves and pocket weaves are terms you may also see in our baby carrier descriptions. These are weave techniques which enhance the density of the fabric, leading to a stronger and more durable sling. Baby slings woven with these techniques are likely to be ideal for a toddler. Note: If you are going to be using structured carrier then the blend is not as important so we suggest going for a pattern and colourway you love! 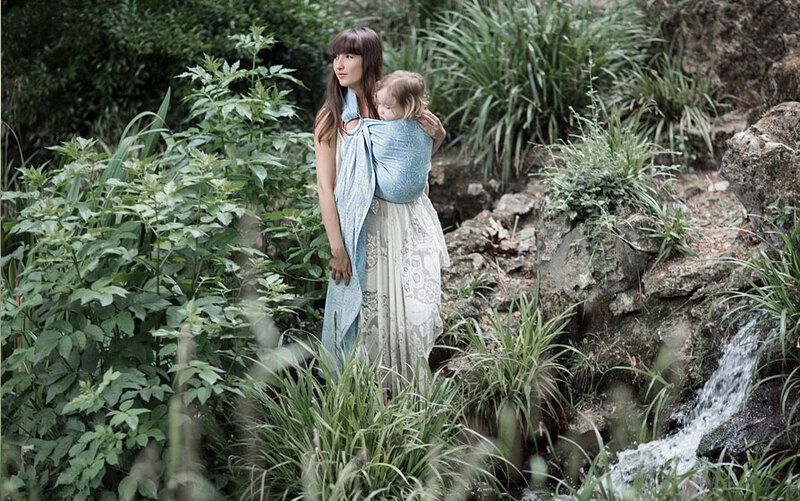 We only use Organic Cotton in our slings because we want to support the health and wellbeing of cotton workers, as well as ensuring nothing toxic is near you or your baby. Our weavers have often commented on the strength of the cotton we use, which produces far fewer breakages during the weaving process than is common for cotton yarns! 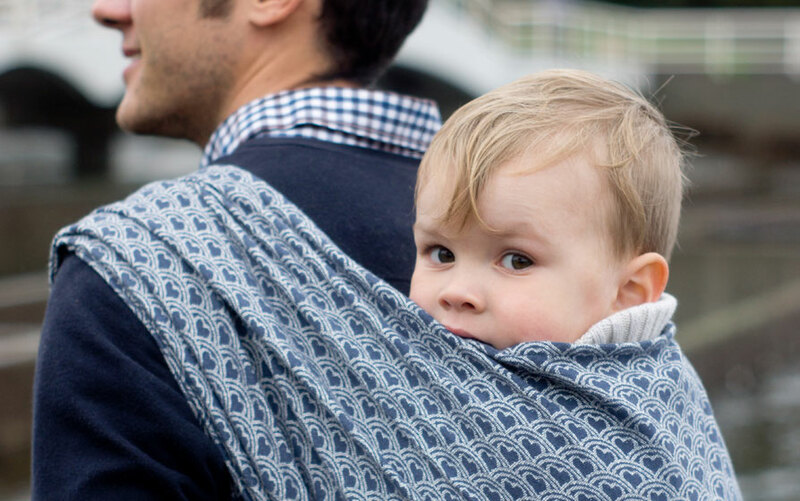 This makes our organic cotton wraps strong and durable – perfect for carrying heavy toddlers. This yarn offers strength and support, breaking in wonderfully with wear. These varieties of yarn offers a lovely woolie cush and a natural strength. This yarn offers strength and support, breaking in over time to become buttery soft. This yarn offers a lovely cush for the shoulders and a thick feeling in hand. These long staple yarns offer cush, strength and durability. You’ll see this little abbreviation mentioned often and it refers to the weight of the fabric. For an Oscha sling, the GSM is likely to be between 180 and 330gsm. 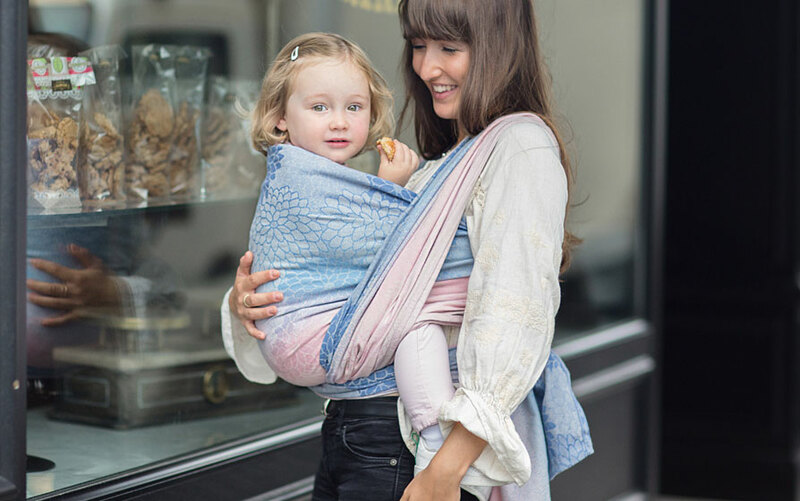 For toddlers we’d recommend a medium to high GSM (250 or higher) as this will usually be a sling which has a nice thickness and cush to it, however this isn’t essential. Note: For carriers this is not something you need to think about. Which Carry Should I Use for My Toddler? As little ones grow they are going through many different developmental stages which can lead to a change in behaviour around being carried. These are perfectly normal stages, however to ensure you remain comfortable you may want to adjust the carries you are using to keep you and your little one secure and happy. This phase is likely to be related to standing, first steps and early toddling. It can be one of the most frustrating phases as a wrapper. It’s crucial you tighten your wrap really well during this phase. Ensure that passes properly pin your seat in place and don’t pull up extra fabric between you to create a seat, your wrap should run in a tight straight line from one knee pit to the other. A carry with cross passes can also be useful. Your baby is now a toddler and they’re on the move and discovering more freedom. Testing your wrapping skills by wriggling, bouncing, leaning and leg straightening is all perfectly normal. It doesn’t mean they hate being carried, they’re just growing up and often think it’s fun to wriggle while you’re trying to wrap. Distraction is the key here, try to engage them with a toy or breadstick. If you can, focus their attention elsewhere and it will give you more time to wrap. Picking quick carries can often help in this phase. If they’re wriggling once wrapped then multiple passes can help. Your toddler is becoming independent and wants to do things on their own terms and they often want to walk and run. But, little legs get tired quickly so it’s a good idea to have a wrap or ring sling handy. When you need to carry them try making it a fun game of horsey. Shorty wraps can be brilliant for this age. For more information on this you can read our blog post on settling your little one, written for us by Sling Consultant Jillyan Graham, from Carry Me Round.